Wear this charm as a reminder of a time to come or one that has passed. 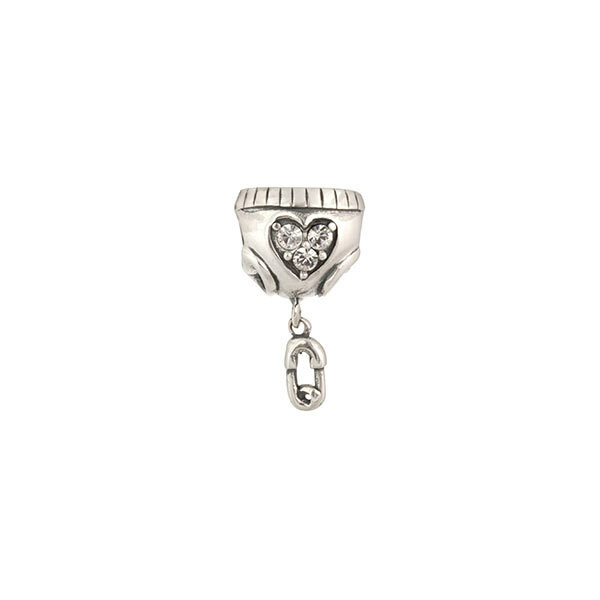 This sterling diaper charm has a safety pin dangle with a heart motif and crystal accents. Approximately 10.5mm wide and 18mm tall with a threaded core. Compatible with most brands of European charm bracelets.